After funding in 1939, the San Antonio Riverwalk was constructed. 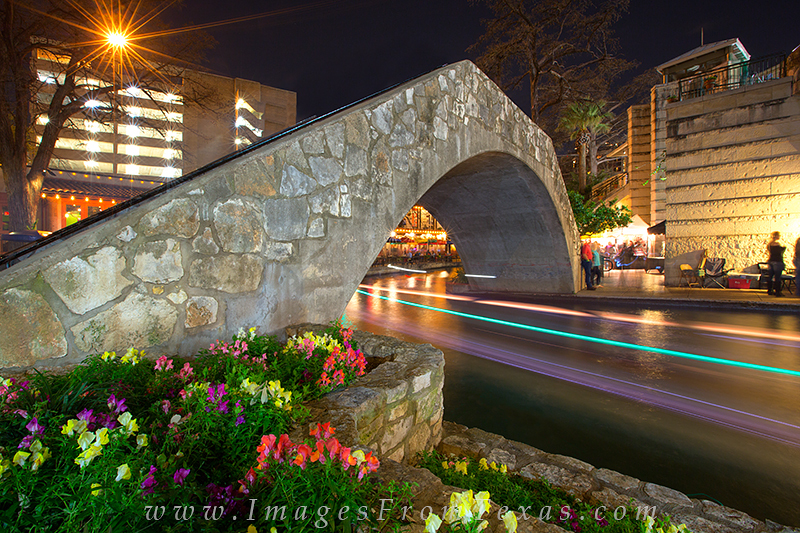 While orginally smaller, the walking paths now stretch 2.5 miles along the San Antonio River. The first restaurant opened in 1946 (Casa Rio) and still enjoys much success today. In this image, the springtime flowers enjoy a warm March evening. The lights on the water are riverboats as they ferry passengers around the waterway, but only appear here as blurs because the exposure time for this photograph is 30 seconds. Photo © copyright by Rob Greebon.